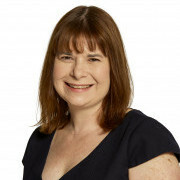 Janine has been an RCOG accredited subspecialist in Reproductive Medicine, Obstetrics and Gynaecology since 2004, with extensive experience in Reproductive Medicine and Surgery including all aspects of Assisted Conception. Janine undertook her initial medical training at Leicester University and Leicester Royal Infirmary and her subspecialty training at St Mary's Hospital, Manchester, and for the last 15 years has been consulting throughout the UK including London. She is known internationally for her research into early pregnancy failure, endocrinology and gynaecological ultrasound, and her research work underpins national guidelines in the area. Janine currently sits on the European Society of Human Reproduction and Embryology recurrent pregnancy loss guideline group which produces European wide guidance. She is a Medical Advisor to the Ectopic Pregnancy Trust. Janine speaks fluent French and treats patients from all over the world.